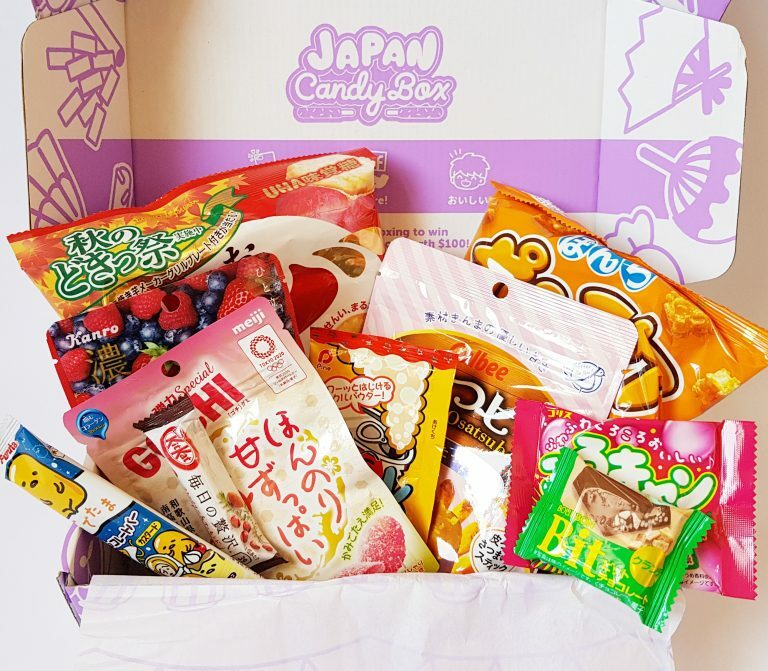 Japan Candy Box is a monthly subscription box full of 8 – 10 quirky and fun Japanese candies and snacks. 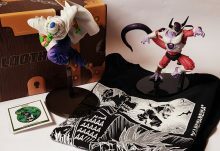 It costs around £15 per month. 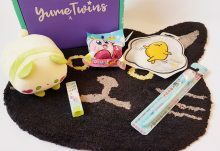 The box has a really fun design, very cute. 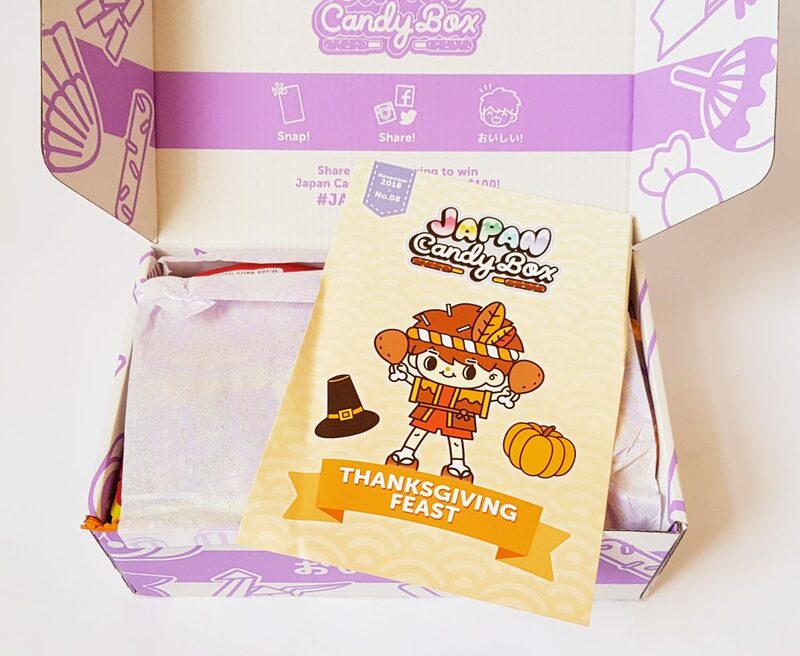 This month’s theme is Thanksgiving Feast, which is appropriate for November! 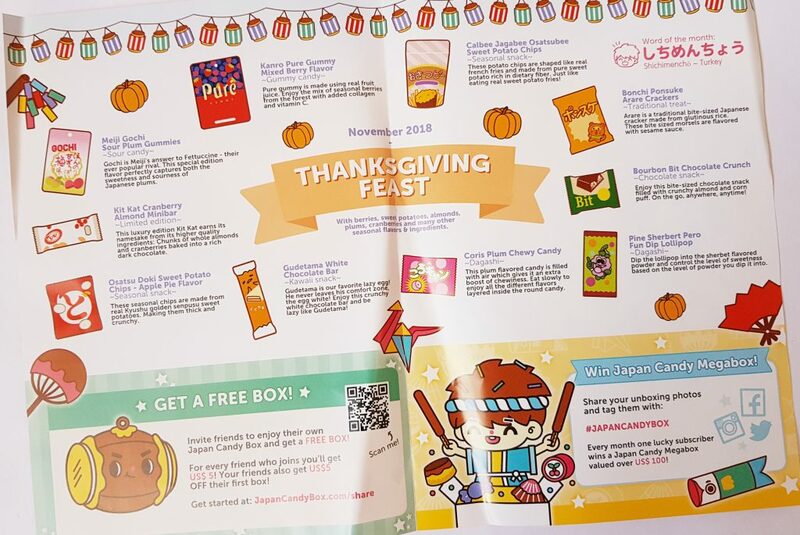 Inside is the menu, which tells you about all the items inside. 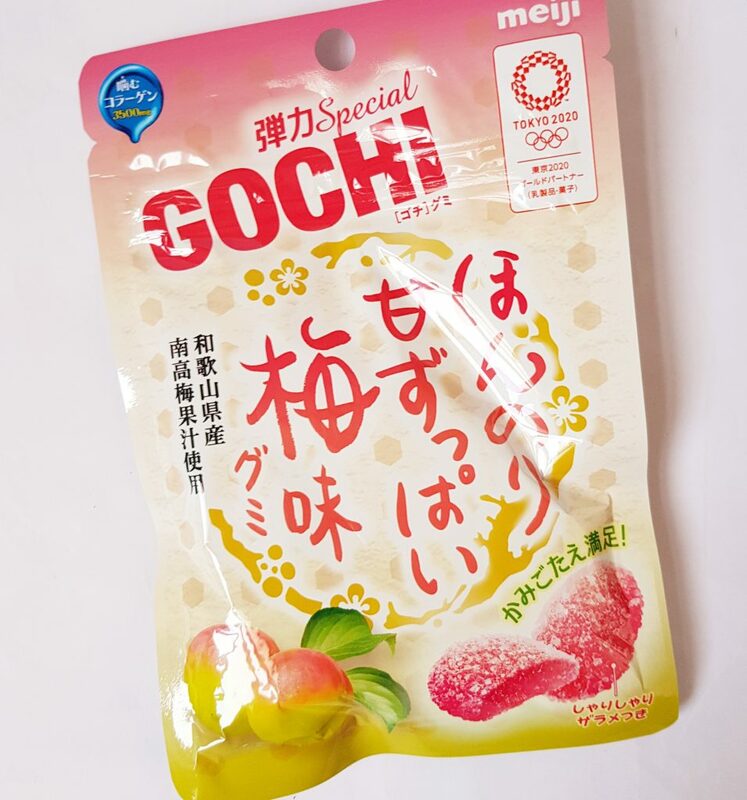 Meji Gochi Sour Plum Gummies have a very traditional Japanese flavour. They’re both sweet and sour, and very distinctive. Above is a Bourbon Bit Chocolate Crunch, a snack-size chocolate containing almonds and tiny corn puffs for crunch. 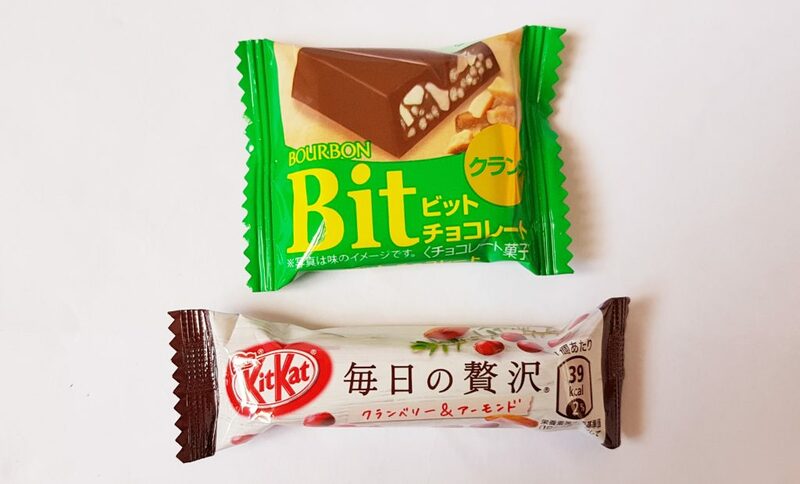 Below is a Kit Kat Almond Cranberry Minibar. This is one of their luxury varieties and contains almond and dried cranberries. 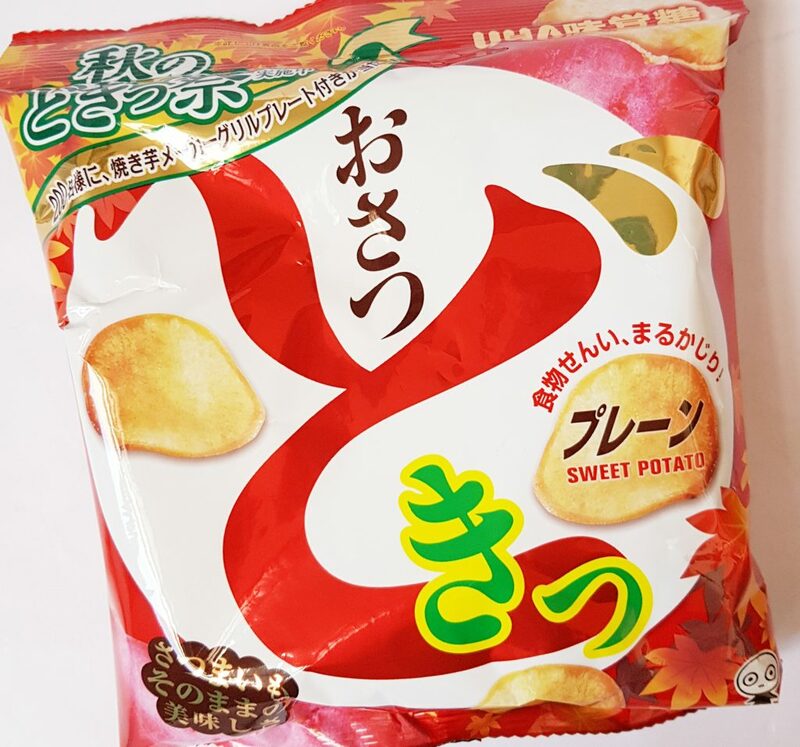 Osatsu Doki Sweet Potato Chips apple pie variety. These combine two seasonal flavours, apple pie and sweet potatoes. 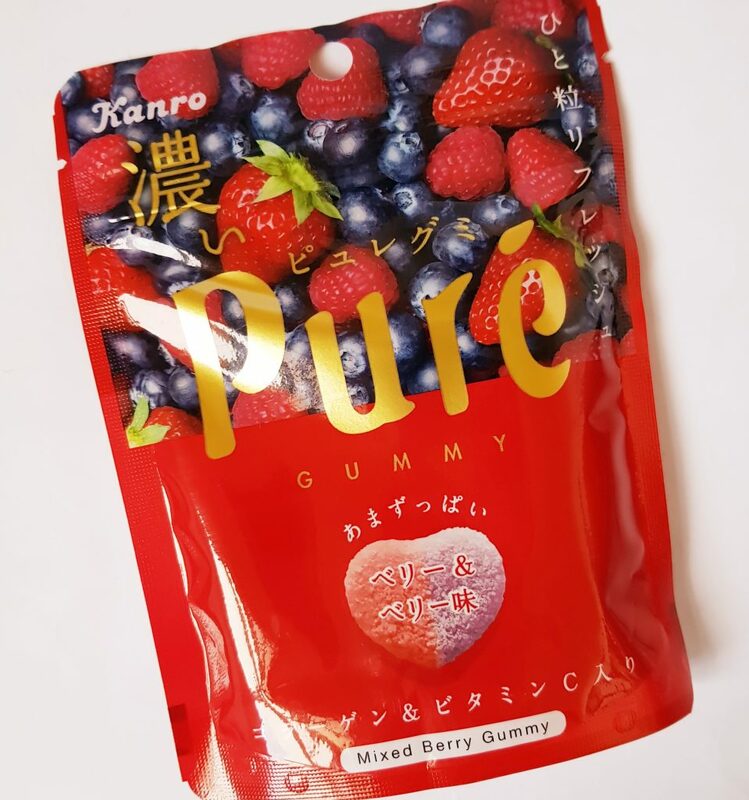 Kanro Pure Gummy Mixed Berry Flavour are seriously fruity. These are a mix of blueberries and strawberries, and also contain Vitamin C.
This snack features my favourite kawaii character, Gudetama. 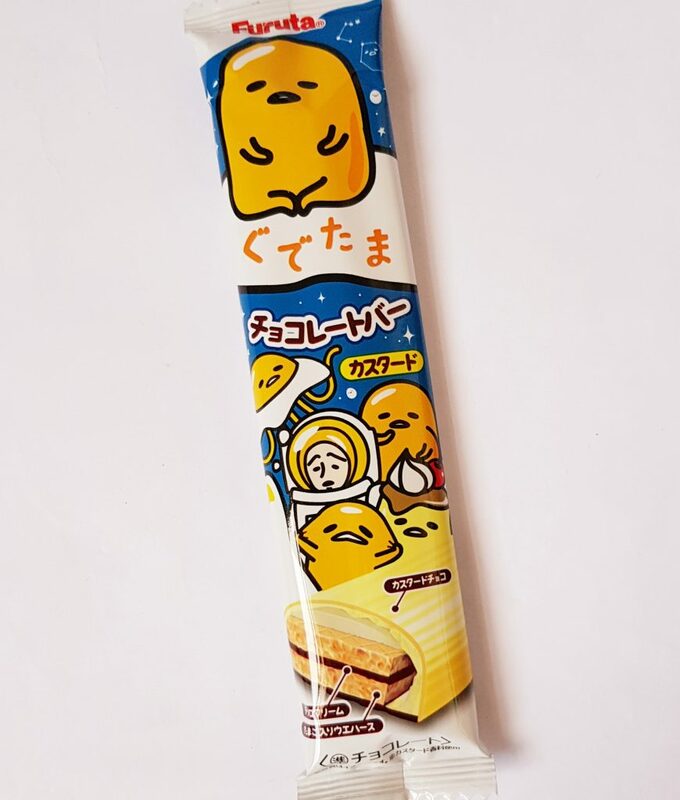 It’s a crunchy wafer and white chocolate bar, and is sweet and delicious. 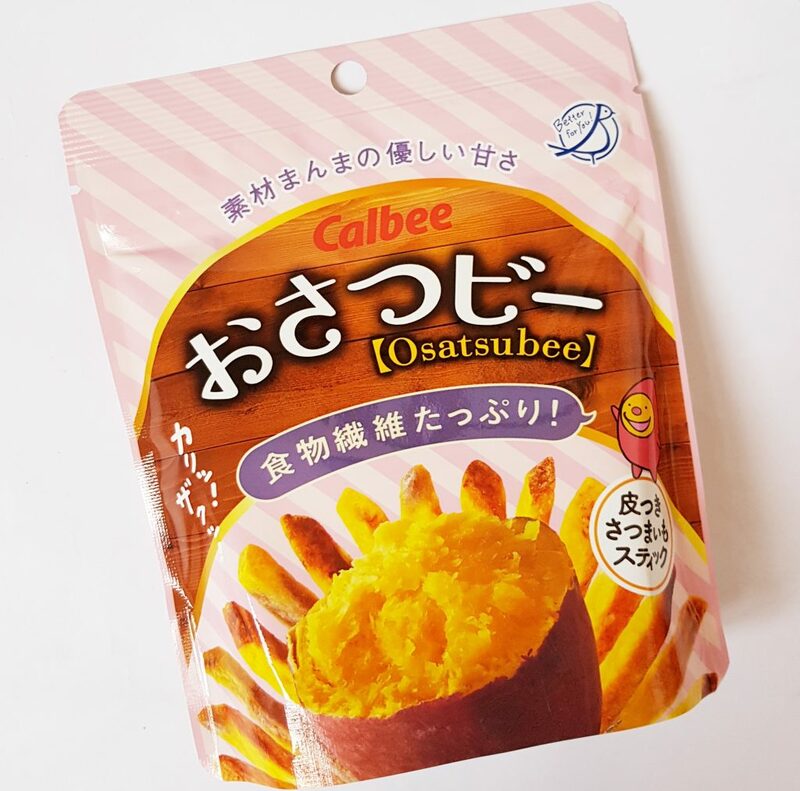 These Calbee Jagabee Osatsubee Sweet Potato Chips are another sweet potato snack, but this time there’s no extra flavour, and they’re in the shape of french fries. 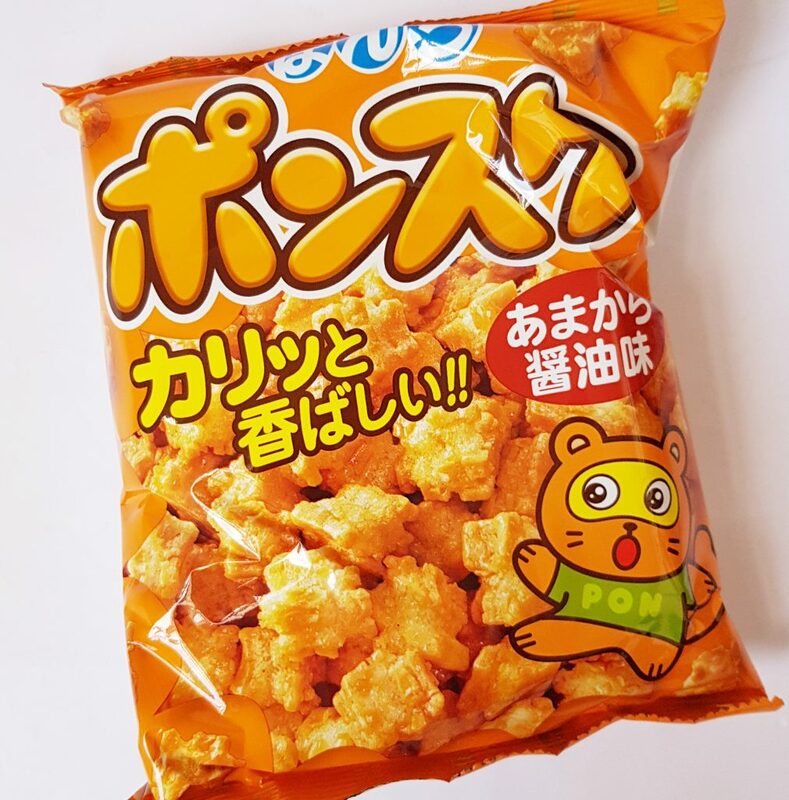 Bonchi Ponsuke Arare Crackers are traditional bite size crispy rice crackers, and this variety is flavoured with sesame sauce for a salty and sweet taste. 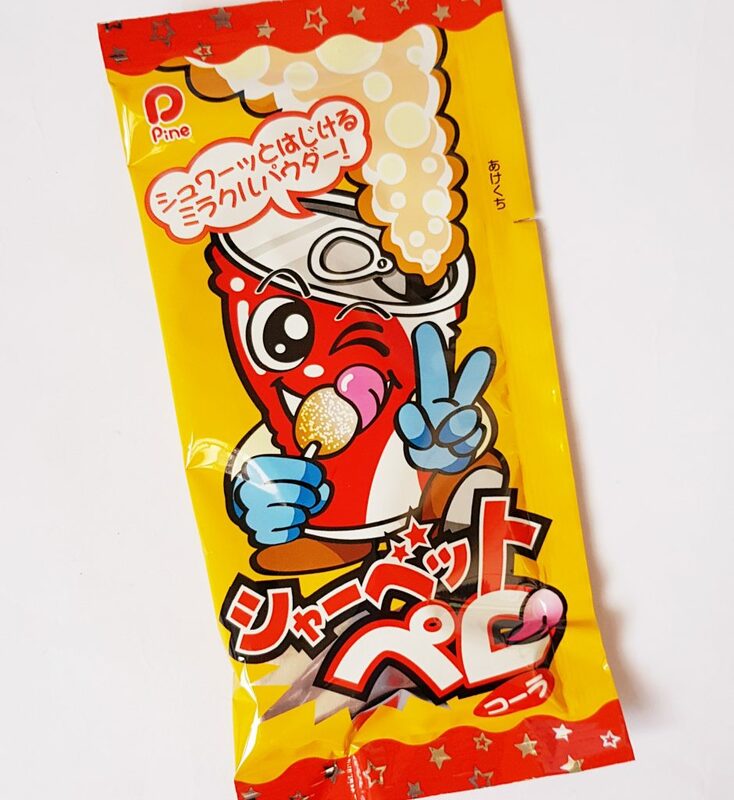 This is a fun dagashi, a Pine Sherbert Pero Fun Dip Lollipop. This is a familiar kind of snack to most people, a lolly which you dip into sherbert. Finally, Coris Plum Chewy Candy. 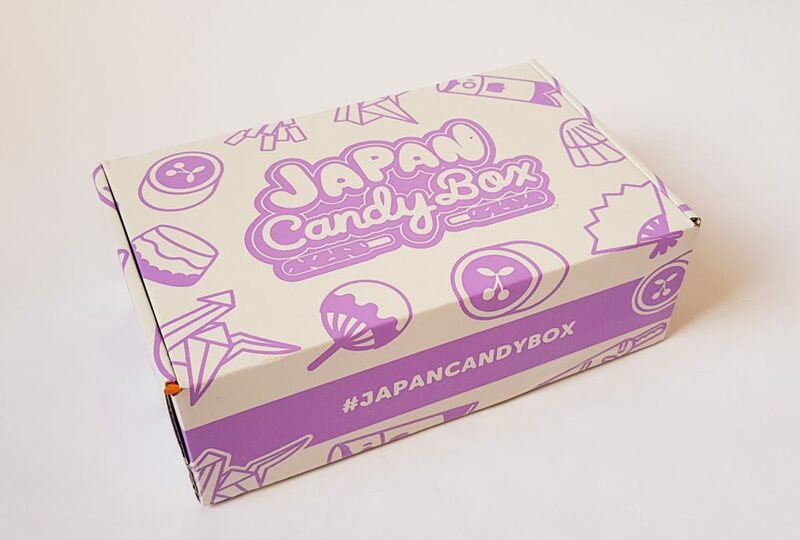 This extra-chewy candy is another Japanese plum item, and is so chewy it lasts a long time! 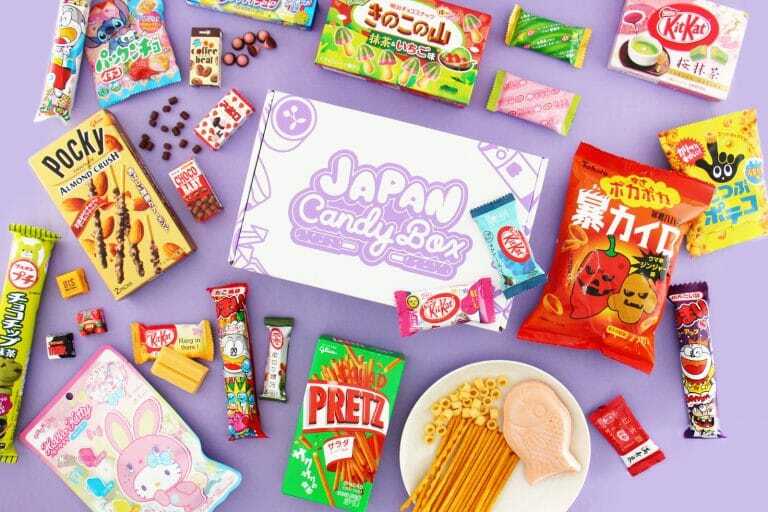 I think this is a nice selection of candies and snacks. It definitely is mostly sweet, as there’s only one savory item, but I don’t know if this is the usual balance. Either way, there are some yummy things in here. I like the mix of flavours with a few seasonal touches, plus flavours such a sour plum that you don’t really see outside Japan. 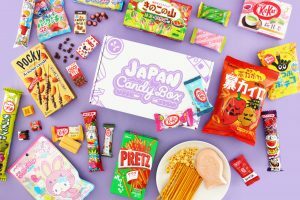 At around £15 a box this is pretty good value, especially as all the products do come from Japan. 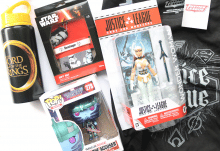 They’re not things you’re likely to see in your local shops! A very pleasing selection of delicious snacks, and a great way to discover some new flavours and varieties!